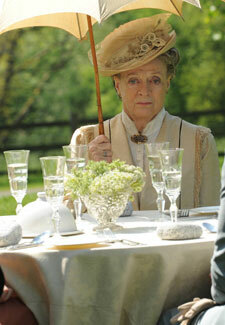 She’s one of the best things about Downton Abbey, with her acerbic put-downs and withering asides. But Dame Maggie Smith, who plays the Dowager Countess of Grantham in the show, has confessed that she’s never even watched the period drama. She must be the only person in the country who hasn’t gone Downton mad! To find out where one of Maggie’s co-stars could be headed next, click here.